MANILA -- The Technical Education and Skills Development Authority (TESDA) is eyeing at least 170 scholars to benefit from its new scholarship program to be implemented in the last quarter of 2018. Lenny Carreon, TESDA Planning Office assistant executive director, disclosed this in an interview with the Philippine News Agency (PNA) on Thursday afternoon. She said the budget for the new scholarship program is PHP6.9 billion for 2018. Under the new program, trainees will be provided with not just scholarships for technical-vocational (tech-voc) courses, but also with assessment and toolkits, allowance, and training insurance, Carreon said. 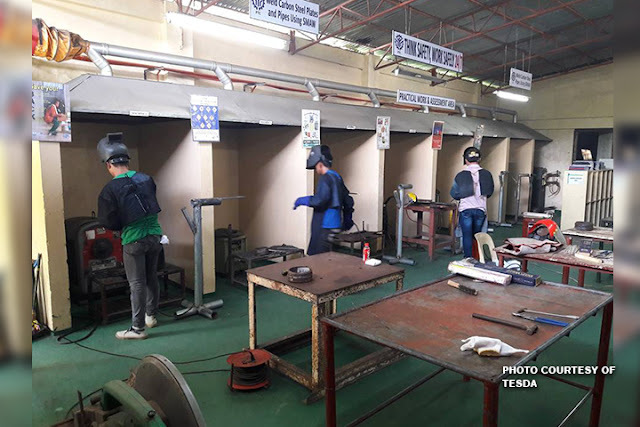 It will be the first time for TESDA to provide toolkits to its scholars to help them prepare, in case they would like to become entrepreneurs. While the program will offer courses that are not soft skills (e.g. welding), the trainees need not worry in case they get hurt during the course since insurance will be provided to them. The scholars will come from across the country, and the program will be implemented not just in TESDA institutions, but also in institutions run by local government units. "There are requirements for them to become scholars. Receiving TESDA scholarships prior (to) this would disqualify them," Carreon said. TESDA also has priority groups, such as beneficiaries of the Department of Social Welfare and Development's 4Ps (Pantawid Pamilyang Pilipino Program).